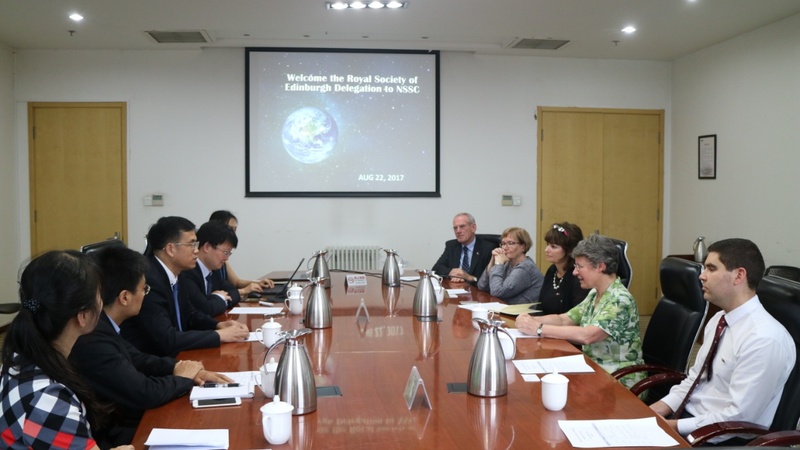 On 22 August 2017, a delegation headed by Dame Jocelyn Bell Burnell, President of Royal Society of Edinburgh, paid an official visit to NSSC. 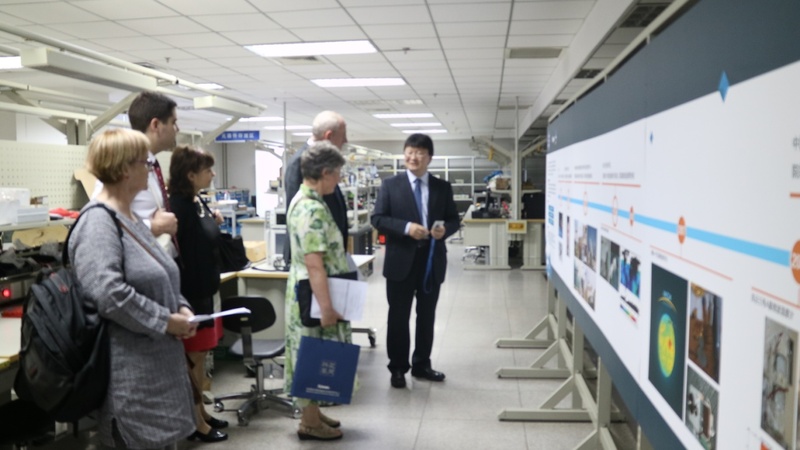 Prof. WANG Chi, Deputy Director General of NSSC and Prof. DONG Xiaolong, Assistant Director General of NSSC met with the delegation. On behalf of NSSC, Prof. WANG Chi extended his warm welcome to the delegation and Prof. DONG Xiaolong made a brief introduction of NSSC and its space science activities. 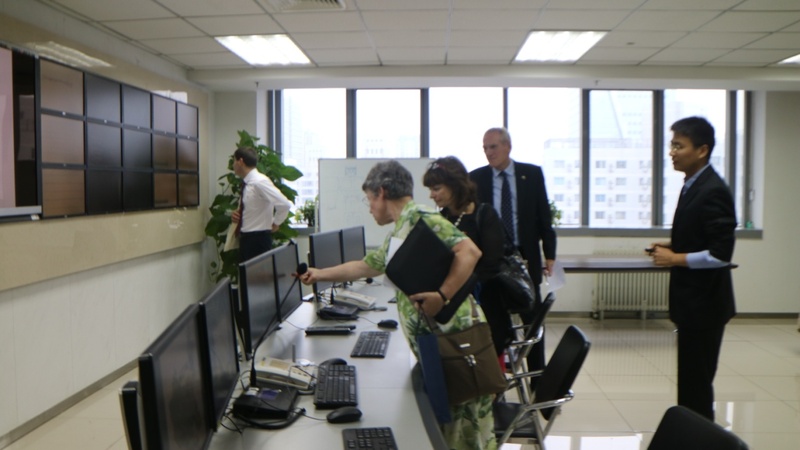 Through the discussion and exchange of opinions, the delegates expressed appreciation to the development of Chinese space science and showed their interest in the Chinese space weather research and the related international cooperation activities. 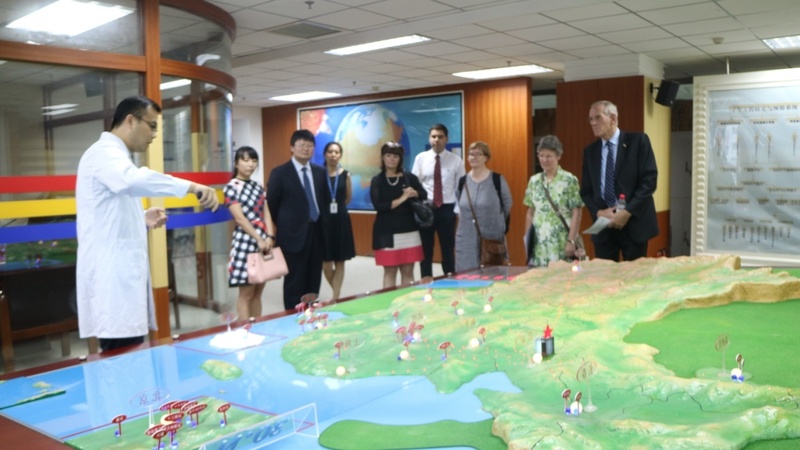 The delegation was invited to pay a technical visit to the Dongfanghong-1 Exhibition, Space Environment Prediction Center, CAS Key Laboratory of Microwave and Remote Sensing and the Operation Center of Meridian Project.